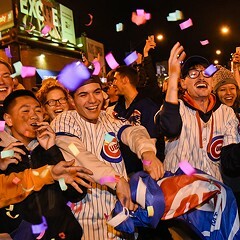 Cubs fans celebrated outside Wrigley Field early Thursday morning. IS THIS LIFE??? 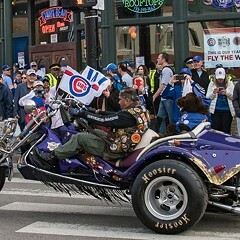 Part of being a lifelong Cubs fan is that you never bother to plan what will happen when the Cubs win the World Series, because you're too busy worrying about other, more likely possibilities. Like what to do if you're in a plane crash, or your house burns down, or, I don't know, a sea of angry merpeople storms Loyola Beach. Last night I was pretty sure the world would end in the ninth inning with the score tied, two men out, and Aroldis Chapman facing down Jason Kipnis. But when Kipnis came up to bat against Chapman, there was only one man gone, so I started to think maybe the world wouldn't end after all. 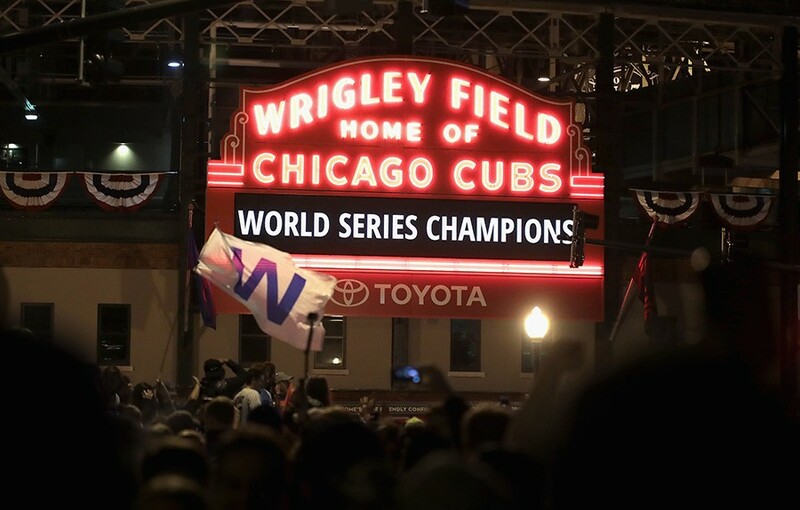 That reminded me how living in Wrigleyville during my late 20s had made me start to hate Cubs fans, and why I hadn't gone down there last night, even though the silence in Rogers Park had been eerie and unsettling. That, in turn, reminded me to check the back porch to see if the guy I'd seen last night passed out and drunkenly snoring was still there. He wasn't. My friend Annie in Cleveland and I have checked in on each other, she to see if I was safe, I to see how she was managing her disappointment. We had texted and tweeted frantically during the ninth and tenth innings. Even though we were rooting for opposite teams, we felt that no one else completely understood what we were going through. 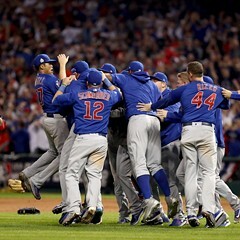 My colleague Mike Miner has warned us all that after a great victory comes depression. 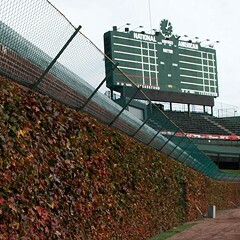 But as a Cardinals fan, he has never known a drought like the one that has just ended for the Cubs. And after a game like that one! My college boyfriend messaged me last night that, aside from the births of his children, he had never felt so happy. I tried to think of a comparison, but since I don't have children, the only thing I could think of was something far less obvious. I was 23 and visiting Paris for the first time, and my friend took me to an underground bar where they played great old music from the 50s and 60s, and all the French kids were dressed up and knew how to dance properly, and we Americans sat at our table and applauded because we knew we could never dance that well, and everything in the world was exactly as it should be. 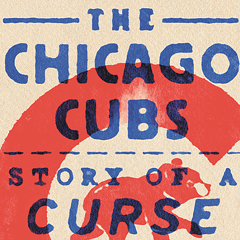 Author Rich Cohen makes a persuasive—and entertaining—case that, for Cubs fans, the curse was one of the core beliefs that held the universe steady.